Detailing the physical features, habits, territorial reach and other identifying qualities of the Robinson's Annual Cicada. Robinson's Annual Cicada can be seen every year, ensuring the sounds of summer and shells of early life are around for humans to enjoy. Annual Cicadas are around yearly, unlike some other species in the Periodical Cicada group, which are known for their huge swarms every 13 or 17 years. Robinson's Annual Cicadas have a more frequent generational presence. For all the adults seen and heard in the trees, there are multiple generations of offspring still underground. Males call, or sing, to attract females. This chorus creates the iconic whistling/chirping noise only heard in the summertime. This loud singing also attracts predators. Life spans of adults are only a few weeks, so reproduction is the top priority; adults do not eat. After mating, females lay fertilized eggs on leaves. Eggs hatch and the tiny, white ant-like nymphs make their way to the ground where they crawl underground and drink from tree roots. These stay underground for years, feeding and growing. Eventually one resurfaces and molts, bursting out of its light brown exoskeleton. 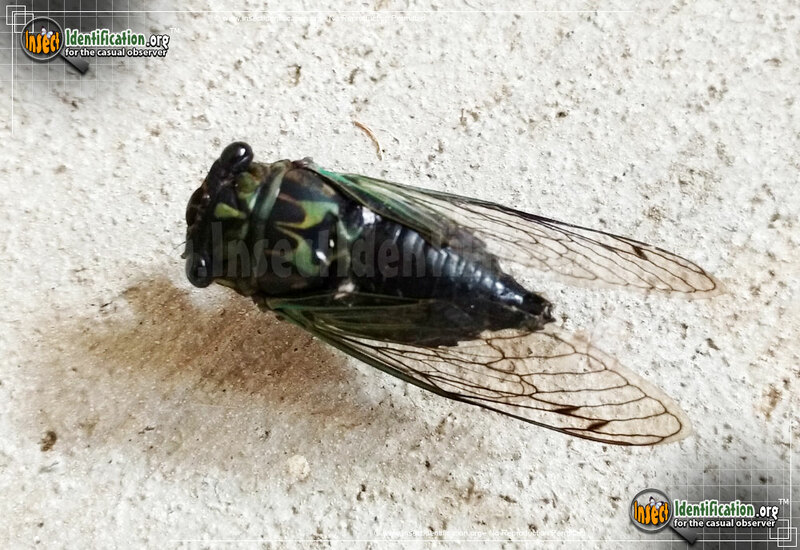 This casing is often mistaken for a live cicada. A freshly molted cicada has a neon green and light tan color. This final molt develops wings and adult immediately begin the search for a mate. Cicadas are harmless to people: they do not bite and do not have stingers. They are somewhat slow and clumsy fliers. Hefty size make it easy to pick up and admire them up close. They can be found anywhere there are trees and shrubs. Brown, crunchy shells of exoskeletons are often attached to window screens, tree trunks, wooden posts, and even tall grass. Listen for Robinson's Annual Cicada during the day in the summer.